Different Runs Of An Algorithm With The Same Data? Applied machine learning is a tapestry of breakthroughs and mindset shifts. Understanding the role of randomness in machine learning algorithms is one of those breakthroughs. Once you get it, you will see things differently. In a whole new light. Things like choosing between one algorithm and another, hyperparameter tuning and reporting results. You will also start to see the abuses everywhere. The criminally unsupported performance claims. In this post, I want to gently open your eyes to the role of random numbers in machine learning. I want to give you the tools to embrace this uncertainty. To give you a breakthrough. Photo by Peter Pham, some rights reserved. Why Are Results Different With The Same Data? A lot of people ask this question or variants of this question. I get an email along these lines once per week. Why do I get different results each time I run my algorithm? Why are the weights different in each running after convergence? Does the same neural network with the same learning data and same test data in two computers give different results? Machine learning algorithms make use of randomness. Trained with different data, machine learning algorithms will construct different models. It depends on the algorithm. How different a model is with different data is called the model variance (as in the bias-variance trade off). So, the data itself is a source of randomness. Randomness in the collection of the data. The order that the observations are exposed to the model affects internal decisions. Some algorithms are especially susceptible to this, like neural networks. It is good practice to randomly shuffle the training data before each training iteration. Even if your algorithm is not susceptible. It’s a best practice. An algorithm may be initialized to a random state. Such as the initial weights in an artificial neural network. Votes that end in a draw (and other internal decisions) during training in a deterministic method may rely on randomness to resolve. We may have too much data to reasonably work with. In which case, we may work with a random subsample to train the model. We sample when we evaluate an algorithm. We use techniques like splitting the data into a random training and test set or use k-fold cross validation that makes k random splits of the data. The result is an estimate of the performance of the model (and process used to create it) on unseen data. There’s no doubt, randomness plays a big part in applied machine learning. The randomness that we can control, should be controlled. Run an algorithm on a dataset and get a model. Can you get the same model again given the same data? You should be able to. It should be a requirement that is high on the list for your modeling project. We achieve reproducibility in applied machine learning by using the exact same code, data and sequence of random numbers. Random numbers are generated in software using a pretend random number generator. It’s a simple math function that generates a sequence of numbers that are random enough for most applications. This math function is deterministic. If it uses the same starting point called a seed number, it will give the same sequence of random numbers. We can get reproducible results by fixing the random number generator’s seed before each model we construct. In fact, this is a best practice. We should be doing this if not already. In fact, we should be giving the same sequence of random numbers to each algorithm we compare and each technique we try. It should be a default part of each experiment we run. If a machine learning algorithm gives a different model with a different sequence of random numbers, then which model do we pick? I get asked this question from time to time and I love it. It’s a sign that someone really gets to the meat of all this applied machine learning stuff – or is about to. But the differences are within a range. A fancy name for this difference or random behavior within a range is stochastic. Machine learning algorithms are stochastic in practice. Expect them to be stochastic. Expect there to be a range of models to choose from and not a single model. Expect the performance to be a range and not a single value. These are very real expectations that you MUST address in practice. What tactics can you think of to address these expectations? Photo by Pete, some rights reserved. Thankfully, academics have been struggling with this challenge for a long time. If we get different models essentially every time we run an algorithm, what can we do? How about we try running the algorithm many times and gather a population of performance measures. We already do this if we use k-fold cross validation. We build k different models. We can increase k and build even more models, as long as the data within each fold remains representative of the problem. We can also repeat our evaluation process n times to get even more numbers in our population of performance measures. This tactic is called random repeats or random restarts. It is more prevalent with stochastic optimization and neural networks, but is just as relevant generally. Try it. Never report the performance of your machine learning algorithm with a single number. If you do, you’ve most likely made an error. You have gathered a population of performance measures. Use statistics on this population. This tactic is called report summary statistics. The distribution of results is most likely a Gaussian, so a great start would be to report the mean and standard deviation of performance. Include the highest and lowest performance observed. Choosing between configurations for one algorithm. You can see that this has important implications on the processes you follow. Such as: to select which algorithm to use on your problem and for tuning and choosing algorithm hyperparameters. Lean on statistical significance tests. Statistical tests can determine if the difference between one population of result measures is significantly different from a second population of results. Report the significance as well. This too is a best practice, that sadly does not have enough adoption. The final model is the one prepared on the entire training dataset, once we have chosen an algorithm and configuration. It’s the model we intend to use to make predictions or deploy into operations. We also get a different final model with different sequences of random numbers. Should I create many final models and select the one with the best accuracy on a hold out validation dataset. This would be a fragile process, highly dependent on the quality of the held out validation dataset. You are selecting random numbers that optimize for a small sample of data. Sounds like a recipe for overfitting. In general, I would rely on the confidence gained from the above tactics on reducing and reporting uncertainty. Often I just take the first model, it’s just as good as any other. Sometimes your application domain makes you care more. In this situation, I would tell you to build an ensemble of models, each trained with a different random number seed. Use a simple voting ensemble. Each model makes a prediction and the mean of all predictions is reported as the final prediction. Make the ensemble as big as you need to. I think 10, 30 or 100 are nice round numbers. Maybe keep adding new models until the predictions become stable. For example, continue until the variance of the predictions tightens up on some holdout set. In this post, you discovered why random numbers are integral to applied machine learning. You can’t really escape them. You learned about tactics that you can use to ensure that your results are reproducible. You learned about techniques that you can use to embrace the stochastic nature of machine learning algorithms when selecting models and reporting results. Do you have any questions about random numbers in machine learning or about this post? Ask your question in the comments and I will do my best to answer. Indeed Cameron, a tough one. I have used fixed seeds in production before. I want variability to come from the data. Today, I might make a different call. I might deploy an ensemble of the same model and drive stability via consensus. I kind of get the idea of creating an ensemble of the same model, but how do you implement the voting process? Count the predictions for each class and use the max function, or use an existing implementation like that in Weka or sklearn. This is an excellent thought provoking post. Best practice may be your recommendation to build an ensemble of models using different random seeds, then use voting. Thanks Alan, I’m glad you found it useful. Really amazing blog it is a lot we can learn here, still we have to agree that handling data is always a tricky and mystery. In addition to specific libraries’ function parameters like ‘seed’, Python, for example, reads 0 or a decimal value from the PYTHONHASHSEED environment variable. Sometimes, the training results are all 0 and the error can’t convergence to a small value, showing a line vs the iterations. But if I train it again without any change, it has a reasonable good result. What’s the problem? And how can I avoide the failed training? Thank you. Really learn a lot from your post! Consider repeating the experiment multiple times and take the average result as a summary of model performance. Thanks for you’re all posts/analysis/documentations/answers!! Thank you, this post helped me so much, to handle with my uncertainty. Your posts a really good and helpfully. Do you suggest an ensemble of models also for prediction? 1). How should I control the above parameters and train the model for all individual customers? 3). Can I fix the other parameters (except weights,which I am unable to control) and send the model to production? I am really apprehensive of the fact that it could lead to high variance in each run month. Okay. I’ll narrow it down.How do I batch process this algorithm for 50k customers? I cannot have 1 model for entire base as the underlying pattern (Customer wise) is very different. Again, your reply would be crucial for me in deciding the strategy around improving the performance as mentioned in the above link. There are many ways to model your problem. You could have one model per customer, one for groups of customers or one for all customers, or all 3 ensembled togehter. I recommend testing a few approaches and see what works best for your specific data. Yep. Started. Will take time but I’ll let you know how it panned out. Thanks for your wonderful posts. You are doing a great job! Hi Jason do you have any write ups for reporting uncertainty from a statistical stand point in results? 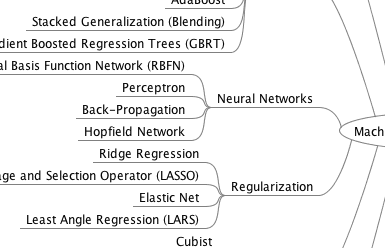 I created my final LSTM model and made predictions with it. Those predictions were fair or above average. When I increased the epochs, in a bit to improve the model’s performance, and retrained the model, that is, created another final model, I got different results, worse than the former. Could the different results have anything to do with stochastic nature of the model? If so, how could I overcome the variances? P.S. I’m working on sequence prediction probe, specifically, time series. I’m wondering if k-fold cross validation resampling method would more effective than train\test split, but it seems one your responses to answers on your blog says that k-fold cross validation resampling method isn’t ideal for time series problem or LSTM. I often recommend fitting 5-10 final models and using them in an ensemble to reduce the variance of predictions. I’ve also seen good papers on checkpoint ensembles. I have a post scheduled on this topic. I appreciate the fact that you are taking time out of your busy schedules to address questions. Thank you, once again. yave = (yhat1 + yhat2 + yhat3 + yhat4 + yhat5)/5 – Perhaps there are Scikit-learn libraries that do the averaging perfectly. Now, I can compare average predictions with true observations, right? Where X is the input sequence, and y, the output sequence, since there is no concept of train/test splits, or k-fold cross validation. Why did we still make predictions on the same X that have been used to fit the final model when we load the model for prediction? The true observations, y, have also been exposed to the model. I must have missed out in the tutorial. 3. Honestly, I have gone through the link you provided for Walk-forward validation, but I haven’t yet grasped the concept. Does it mean that in Walk-forward Validation method, we don’t have to create a final model or find the average of the models? That is, all we care about is the model that performs best amongst the models, and such is saved as a final model, right? If this is the case, in my situation, I have over 14,000 observations and I’m wondering How I would create 14,000 models and chose the best from them. Yes, using an ensemble of models is a good way to overcome high variance in some models. It was just an example in the tutorial, you can make predictions on new data. Walk-forward validation is for estimating the skill of the model on new data. We must still create a final model. I have deployed a gradient boosting model in prod, using joblib to persist it. I was surprised to see slightly different results in prod vs. in dev. Is this because of randomness or it is a problem with my script? I thought that persistence removed randomness. It may be, you should be able to narrow dow n the cause. Can random be used as a hyperparameter? Or can i perform hyperparameter tuning on random states to increase the accuracy of the model? Is it valid? No, the seed is not a hyperparameter. i have my dataset from a company that sells product at e-commerce .I want to know ,how can i make the best analysing of this data. Hi, thank you for your blog posts, they’re really helpful. Concerning randomness, I still have a hard time understanding why I get different models even though I: 1) set the same seed 2) use exactly the same data to train and test. Yet the accuracy reported on the test set is always somewhat different. The only explanation I can think of is that using numpy.random.seed() is not the only seed that tensorflow and keras might be using (e.g. for random parameter initialization). Is this true? Can I make another few bla-bla-bla.seed() calls to make it totally reproducible? It is hard to seed Keras models as a number of different pseudorandom number generators are used. Hey Jason Brownlee, your tutorials are really very helpful and easy to understand, Cheers to you. How viable is performing a statistical significance test between two different systems generally speaking?